​In Luke chapter 8, we find a well-known parable that Jesus taught the apostles and disciples. This parable teaches how the seed, which is the Word of God, grows within a person’s life. The scripture reads, A sower went out to sow his seed: and as he sowed, some fell by the way side; and it was trodden down, and the fowls of the air devoured it. And some fell upon a rock; and as soon as it was sprung up, it withered away, because it lacked moisture. And some fell among thorns; and the thorns sprang up with it, and choked it. And other fell on good ground, and sprang up, and bare fruit an hundredfold. And when he had said these things, he cried, He that hath ears to hear, let him hear. Jesus mentions 4 types of ground or people that the seed of God’s Word falls upon. The first one mentioned is the wayside soil. This is a majority of the people in the world, who hear the Word of God, but they don’t receive it. They never believe and obey and as a result, the Word of God falls to the wayside ground. Jesus goes on to say in verse 12 that the devil takes the Word out of their hearts causing them not to act upon hearing the Word. Verse 5 says that the seed becomes trodden upon and the fowls of the air devour it up meaning that God’s word never has time to grow because the devil tries to remove the growing seed as quickly as possible. Second, the parable mentions that some seed fell upon the rocky ground. When it was sprung up, it withered away and died because it lacked moisture. In verse 13, Jesus explains that the seed upon the rock are those who, upon hearing the Word, receive it with joy and obey the gospel; but because of a weak faith, fall away from the fold in the time of temptation. The reason is because they have no roots truly grounded in the scriptures. The third type of ground the seed falls on is found in verse 7 where the scripture says that some seed fell among the thorns. As a result, when the seed springs up, many thorns spring up with it, and chokes the life out of the seed. So it is with many Christians as Jesus explains in verse 14. He says that these people go forth into the world having obeyed the Word, but they allow the cares, riches, and pleasures of this life to choke the spiritual life out of them. They become too side-tracked with the temporal riches the world has to offer and the cares of life such as a job, career, or hobbies, etc. When this happens, whatever spirituality or salvation that person has is choked out by earthly riches. The fourth and last ground mentioned in this parable is the good ground. This of course represents those who willingly accept the truth, obey the gospel, and having a good and honest heart, bring forth good fruit with patience. These souls don’t allow the devil to take the seed of the gospel away from them; rather they keep it with them as verse 15 says. 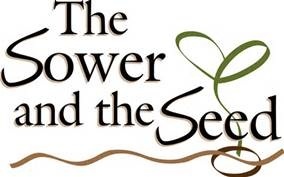 The parable of the seed and the sower is this writer’s favorite parable because it shows the different types of people in the world who receive the Word. It is those who receive the word, keep it with them throughout a lifetime, and bring fruit to the name of Christ who will receive an eternal reward. How often do you read God’s word? Jesus asked the chief priests and scribes in Matthew 21:42, “Have you never read in the Scriptures?” If Jesus asked you this question today, would you be embarrassed or would you have a ready answer for the one who can read all hearts and minds? So I ask you today, have you ever read what the Scriptures say about reading the Scriptures? Reading the Bible is more important to God than many realize. Consider this plethora of verses that speak on the subject of reading the Holy Bible. Paul said to the Thessalonians, “I charge you (put you under oath) by the Lord that this epistle be read…” (1 Thessalonians 5:27). More than once Paul told Timothy to, “…give attention to reading,” (1 Timothy 4:13). This is followed by a later statement to, “Be diligent…rightly dividing the word of truth,” (2 Timothy 2:15). John the apostle makes the statement, “Blessed is he who reads…” (Revelation 1:3). Nehemiah proclaimed the edict to “Read from the Book of the Law of the Lord…God for one-fourth of the day,” (Nehemiah 9:3). Jeremiah the prophet was such a man of God that he could say in Jeremiah 20:9, “…His word was in my heart like a burning fire shut up in my bones; I was weary of holding it back, and I could not.” The psalmist says in Psalms 119:105, “Your word is a lamp to my feet and a light to my path.” Moses told the children of Israel that they should teach their children the law of God when they sat, talked, walked, lay, rose, brushed their teeth, and browsed Facebook (Deuteronomy 6:7-9). Okay, so he didn’t mention brushing teeth or browsing Facebook, but he might as well have. You get the point. If we read the word of God like we have just seen revealed, we would probably end up tearing our clothes as Josiah did in 2 Kings 22:8-11. He was abhorred at the trespasses of Israel and himself after reading the truths found in the Law. 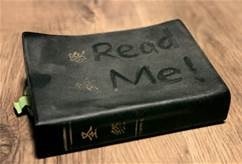 There is no excuse why Americans, who have such a ready access to God’s word, let it sit on the shelf and collect dust. “Have you never read in the Scriptures?” Give Jesus an answer.